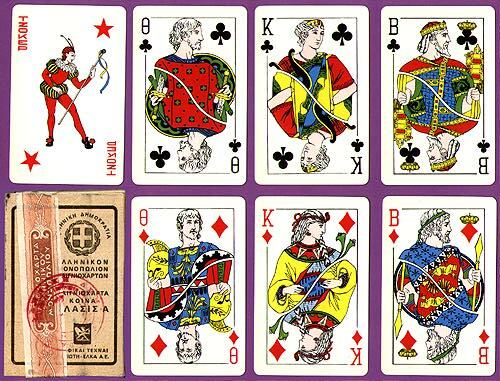 These seem to be the Greek equivalent of normal, boring cards. The box is very plain. 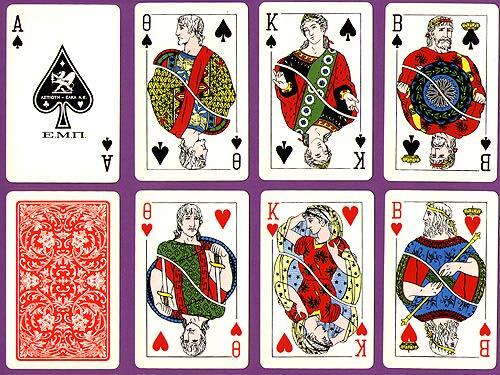 I like the people in the face cards; they look heroic, which is only right, no? My guess is this was purchased in 1976.